The New School is excited to host a teach-in in support of the Oceti Sakowin Oyate’s (The Great Sioux Nation) resistance to the Dakota Access Pipeline (DAPL). Moderated by Jaskiran Dhillon, Global Studies and Anthropology, The New School. 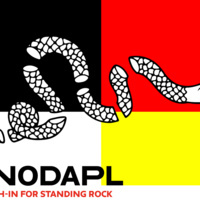 These events are organized as part of the New York City Stands with Standing Rock Collective with generous funding from the Dean’s Office at Eugene Lang College, Schools of Public Engagement Executive Dean’s Office, Bachelor’s Program for Adults and Transfer Studies, Global Studies, Environmental Studies, Anthropology, Milano and the Vera List Center for Art and Politics at The New School. Can't attend in person? Watch the live stream of this event.